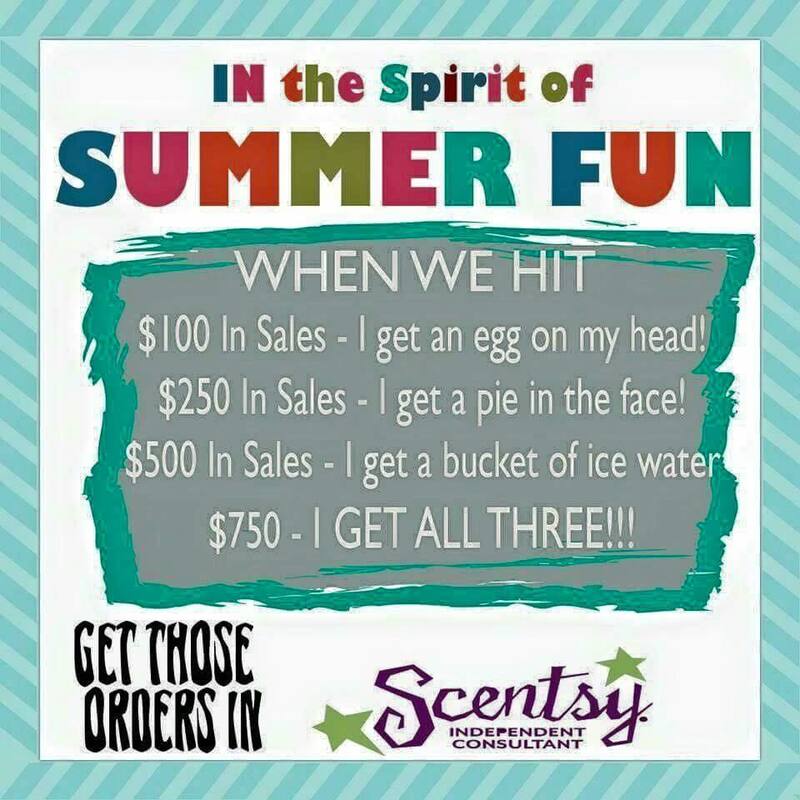 In a previous post I talked about how I learned about running a fundraiser with my new Scentsy business. I wrote about how for fundraisers I put together packets to make selling easy for the organizations members. Well, this is kind of a follow up to that post. I’m personalizing it further. When locals buy from this fundraiser they get the chance to be one of the evil doers that eggs, pies, or ice buckets me! Relay for Life is an organization that is there for many people and their families at their hour of need. Relay events bring together people with a common, and often visceral, experience. They work together to create an event that celebrates victories, ongoing battles, and losses to cancer. The money we raise will be going toward the continued fight against a disease that impacts millions. The great thing about this fundraiser is, I’m not asking you to just give money. You get something from this. You get Scentsy merchandise of your choice. Let me find you your homes signature scent today and together we can do some good! I love how Scentsy is reaching other countries! Thank you for sharing this and I wish you all the best and hope you meet your goal! I hope I can meet it too! Any help is appreciated! I’ve done many fundraisers this way. I even did one with Scentsy a year ago. It’s so nice of consultants like you to donate your whole commission for such a great cause. To me it’s worth it to give back. While the money is nice, as a consultant, I feel that since we don’t count on this as income being able to give back is nice since it isn’t something we counted on being able to do ever! They have a variety of products. I’m sure you’ve seen the warmers and wax that Walmart sells? Scentsy started that and their warmers are lifetime guaranteed and their waxes smell better, have a larger scent throw (how big an area they can scent) and last longer than other brands waxes. They also have a laundry line and personal grooming line. For someone new to Scentsy the scent sampler package is a great way to try things out for a reasonable price ($20). Let me know if you would like to try it, everything is 10% off in Auust. Nothing beats helping out a good cause. I’ve read about this and I’m very interested. Are you interested in Scentsy as a company or our fundraising options? Either way feel free to email me any questions you have on being a consultant, our product, or doing fundraiser. I’d love to help you out! What a great cause. You are so kind to do this. Good luck! Relay for Life is a great cause! Best wishes! Good for you. Relay for life is a worthy cause.